I went to my son's basketball practice tonight and saw a great shooting / box out drill. It's my son's favorite drill. 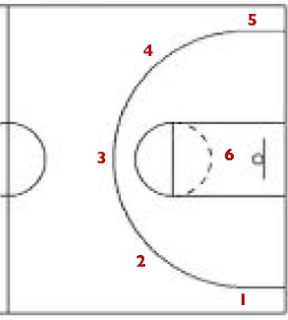 1) The coach puts 5 players outside the three point line and 1 player under the basket as pictured to the right. 2) Player #1 gets the ball and tries to score with a jump shot from any distance. Player #1 is not allowed to dribble drive. 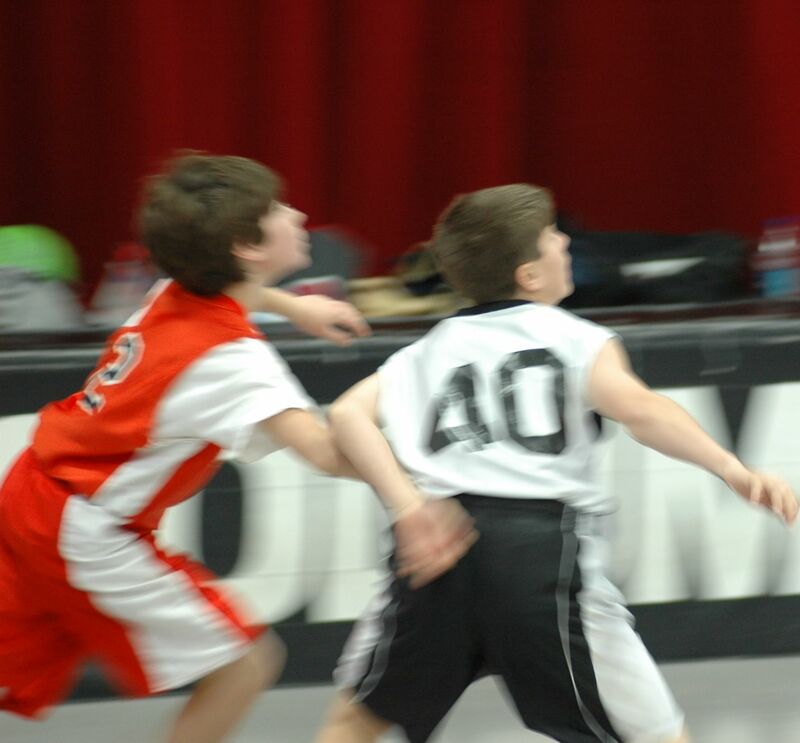 3) Player #6 defends the basket. He pressures the ball. 4) As player #1 shoots, player #6 tries to box out player #1 and rebound the ball. 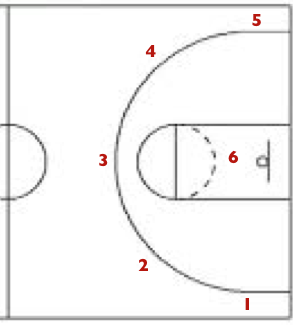 5) If player #1 gets his own rebound, he shoots again. Player #6 will attempt to box out the player again to get the rebound. Player #1 will continue shooting until player #6 gets a rebound. 6) When player #6 gets the rebound, player #1 is done. Player #6 then passes the ball to player #2 for his next battle. 7) Player #6 will continues rebounding until he battles all 5 players. I really liked this drill because it teaches boxing out for defenders and following your shot for offensive players. The rebounder gets a great workout during the 5 consecutive battles, so it also builds endurance. 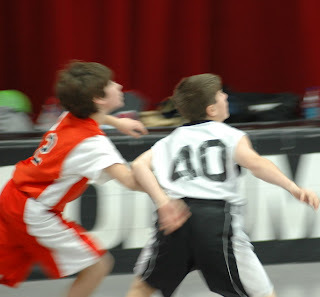 My son Nic is certainly not the biggest player on the team, but he is one of the most tenacious. He limited all but one player to 1 shot. When he was shooting against his buddy Ben, Nic had 6 consecutive shots in a fierce protracted battle. After Ben was done, the coach gave Nic a high five and told Ben, "Don't worry about it - Nic is tough." That made me feel proud. Sounds like a good practice and a very good drill...Let me add something. See you in the Back Court. Great tips! Before playing any kind of game, we should first understand the basic techniques of that particular game. So, we need to take the help of a coach and their guidance. Playing basketball is also one of them, we should understand the basic requirements and techniques of playing basketball; especially, the shooting and dripping. My son is also a big fan of basketball. When I saw NBA games on TV he always stay with me and enjoy the game. I bought him a little basketball shoe and a ball. He play with it but I'm confused is he playing basketball or football. Sometimes he play with hand and some time play with leg. By the way, thanks for sharing your post!